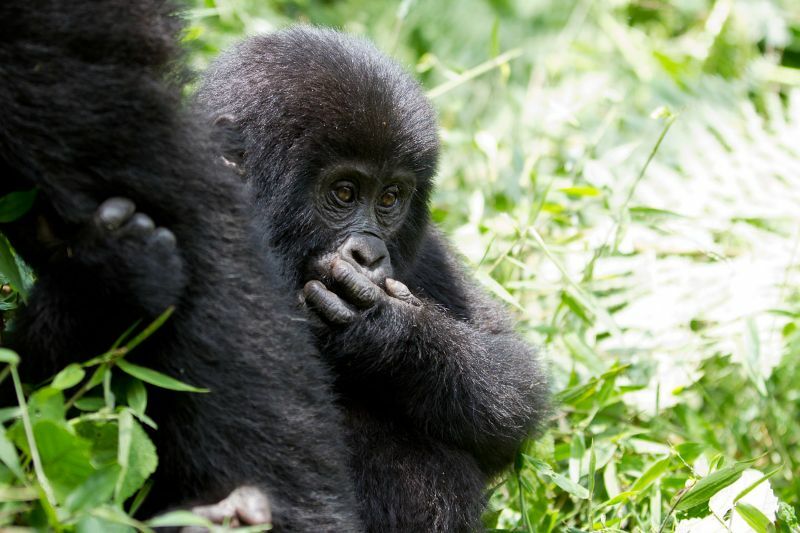 With only 880 mountain gorillas left in the world, this experience is not to be missed! Spending an hour in the company of mountain gorillas is one of the most exclusive and sought-after wildlife adventures on earth. 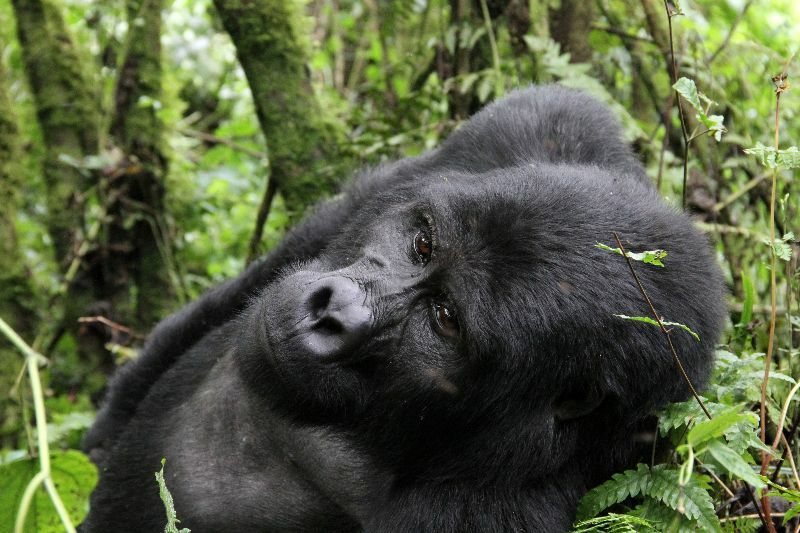 With only 880 mountain gorillas remaining, they face the unfortunate threat of extinction. 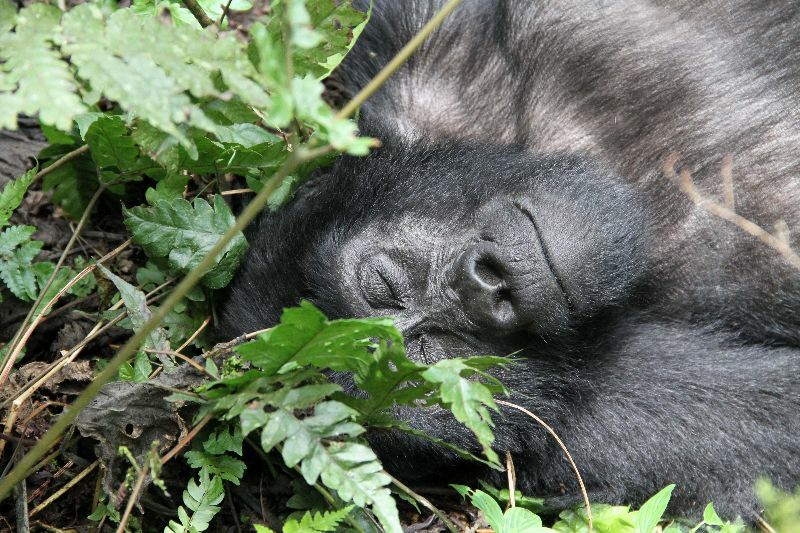 For this reason, mountain gorilla tracking has become sought after among adventurers and passionate wildlife travellers. Despite this, it remains an exclusive experience with only a small group of people allowed to visit each gorilla family, once a day, for one hour. 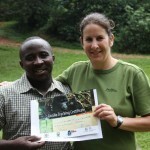 XA African Safaris, comes accredited with a wealth of knowledge about gorillas and gorilla trekking. 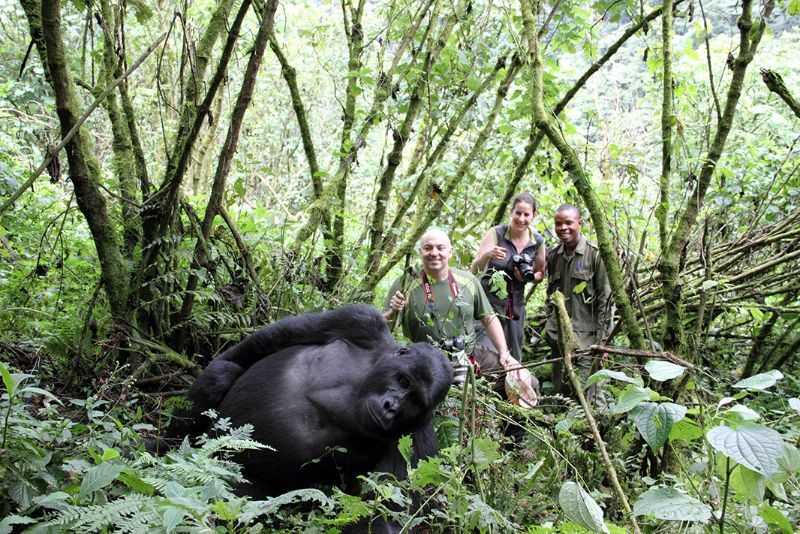 Lisa Marsden, the owner of XA African Safaris, has a passion for the gorillas, her tracking experience and her connections with the local guides and their community has ensured her reputation as one of the leading experts in mountain gorilla trekking. This means that when you book a gorilla trekking safari with XA African Safaris, you couldn’t be in better, more knowledgeable hands! With XA African Safaris, you can relax and enjoy your gorilla safari experience to its fullest knowing that everything has been expertly taken care of. 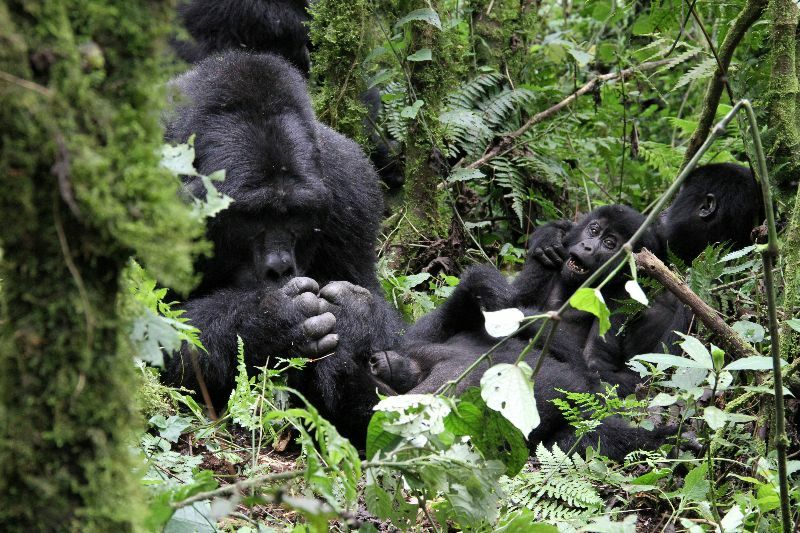 Rwanda, Uganda and the DRC offer not only safe and secure gorilla trekking, but also play host to a variety of other indigenous wildlife encounters and attractions, such as chimpanzee and golden monkey tracking, birding, and unique fauna and flora viewing. Hike Nyiragongo, DRC’s active volcano or scale the Mountains of the Moon. Primate species you can expect to see as you make your way through the forest includes chimpanzees, the red-tailed and L’Hoest’s monkey, blue monkey, black and white colobus, Olive baboon, Golden Monkeys and of course, Virunga’s and Bwindi’s most famous residents, the mountain gorilla. 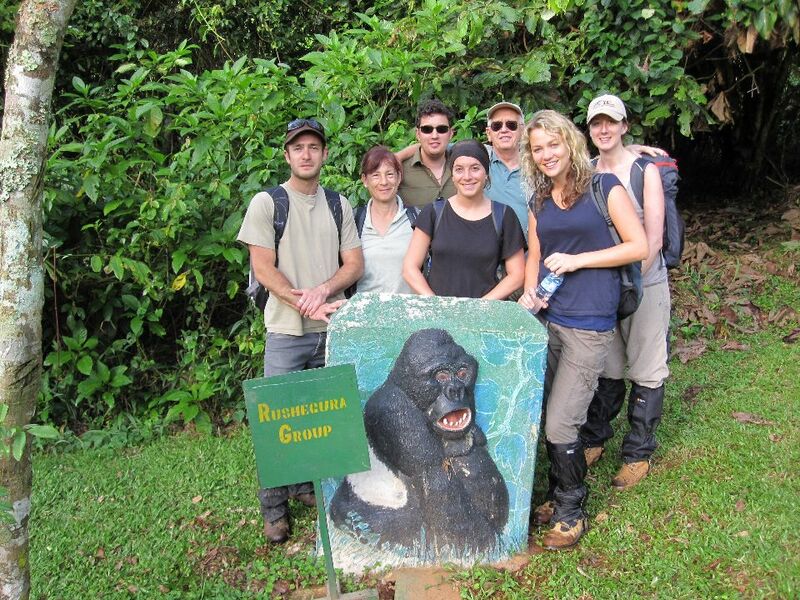 A mountain gorilla trekking safari also offers you the opportunity to enjoy cultural and community projects in each region. 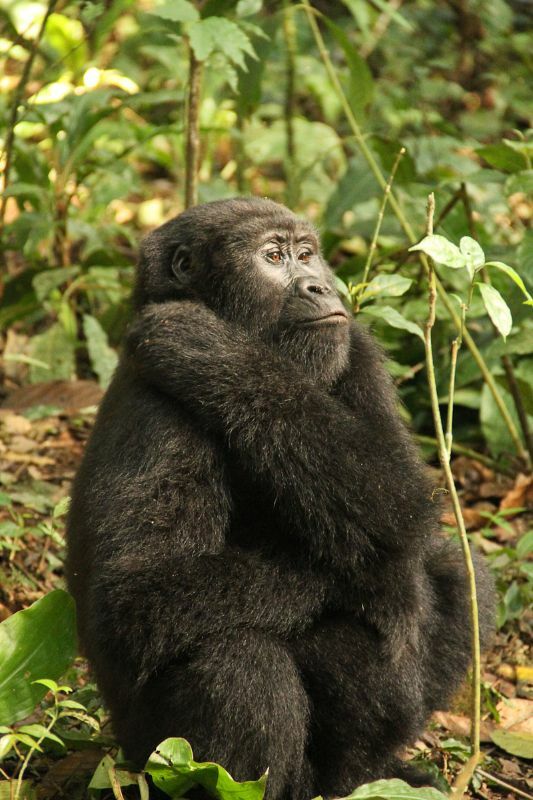 Contact us today to book a life changing mountain gorilla trekking experience. Please note: mountain gorilla trekking in DRC’s Bukima region of the Virunga National Park (VNP) is currently open to visitors. A total of 43 permits are on offer per day. 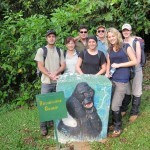 Eastern Lowland gorilla trekking is currently open to visitors in the Kahuzi-Byiéga National Park. Currently six habituated mountain gorilla families exist in the VNP – the Kabirizi, Humba, Mapuwa, Rugendo, Lulengo and Munyaga. 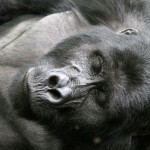 There are approximately 200 mountain gorillas in the VNP. Group size is limited to four or six visitors, depending on the family size and which makes for exceptional viewing and photographic opportunities. 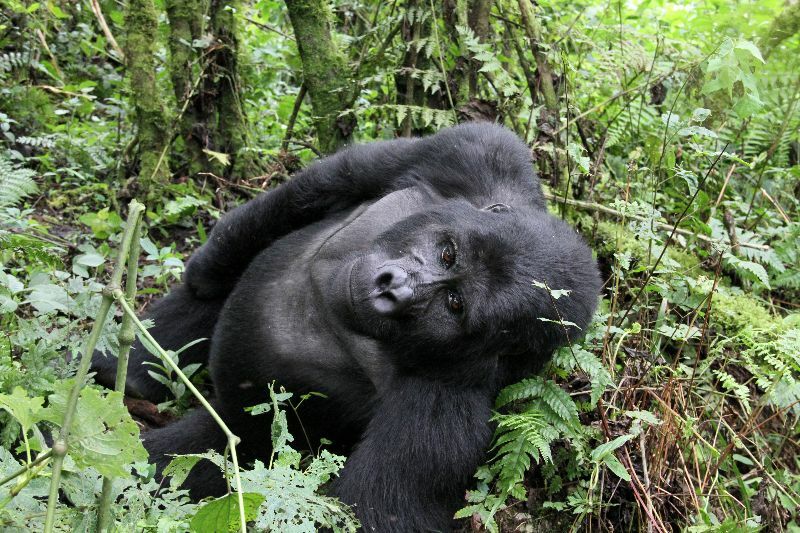 Parc Nationale Des Volcans is Rwanda’s premier tourist destination. A mere 2 hours’ drive north from the capital Kigali, Volcanoes National Park and its mountain gorillas were made famous by their murdered protector, American primatologist Dian Fossey. Surviving against all the odds in the misty rainforest below Rwanda’s towering Virunga volcanoes are roughly 200 endangered mountain gorillas. Access begins in the town of Musanze (old Ruhungeri town). 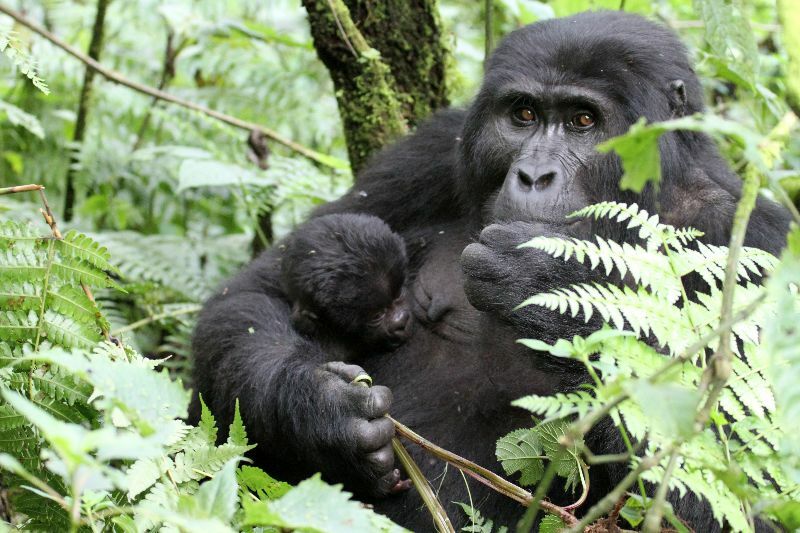 Volcanoes currently offers 12 habituated Gorilla families: Susa (28); Sabyinyo (24); Umubano, Bwenge, Kuryama (15); Agasha (24); Amahoro (17); Hirwa (12); and Kwitonda (20). 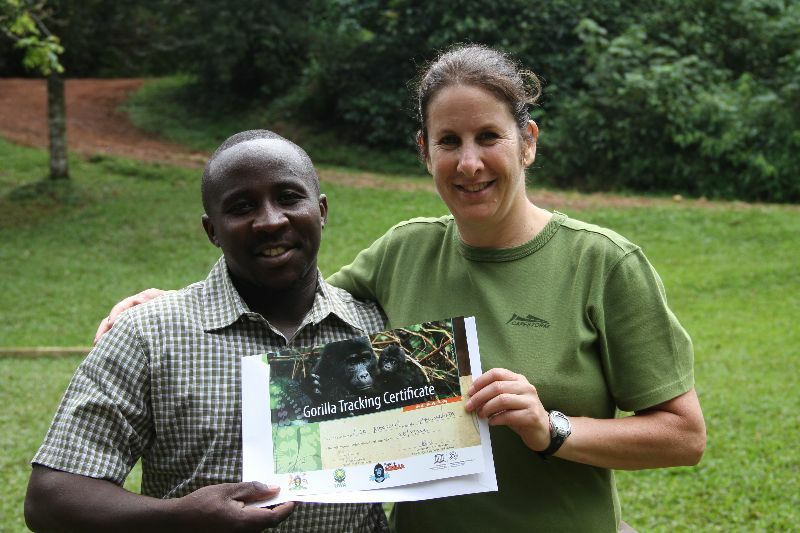 The Karisoke Research Center monitors another seven gorilla groups. Apart from gorilla tracking, the park also offers Golden Monkey tracking, scheduled hikes to Dian’s Fossey’s gravesite and various other parts of the park, cultural interaction, and spectacular scenic drives. Lake Kivu is simply magnificent with Akagera and Nyungwe National Parks providing some great birding, fauna, flora and wildlife encounters. A journey to Rwanda is not complete without a visit to the various markets and the Genocide Museum. Ruhija, is sited in the hills to the east of Bwindi. 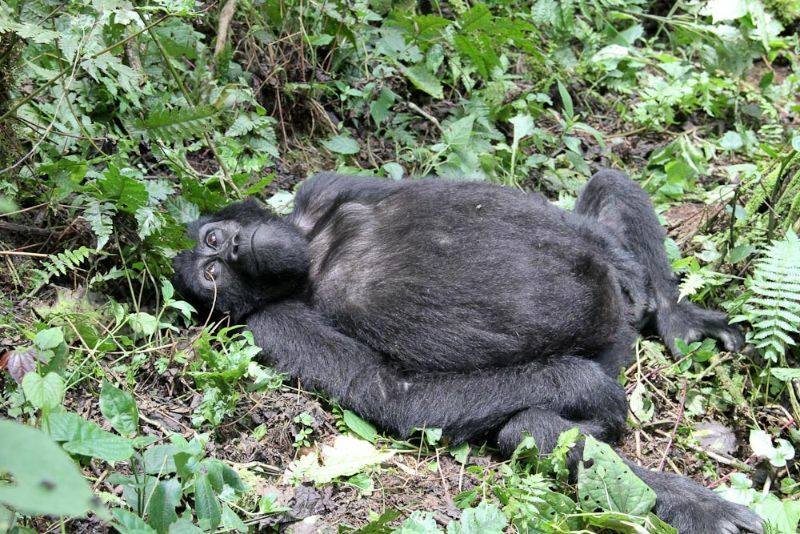 There are currently eleven habituated mountain gorilla groups in four regions. 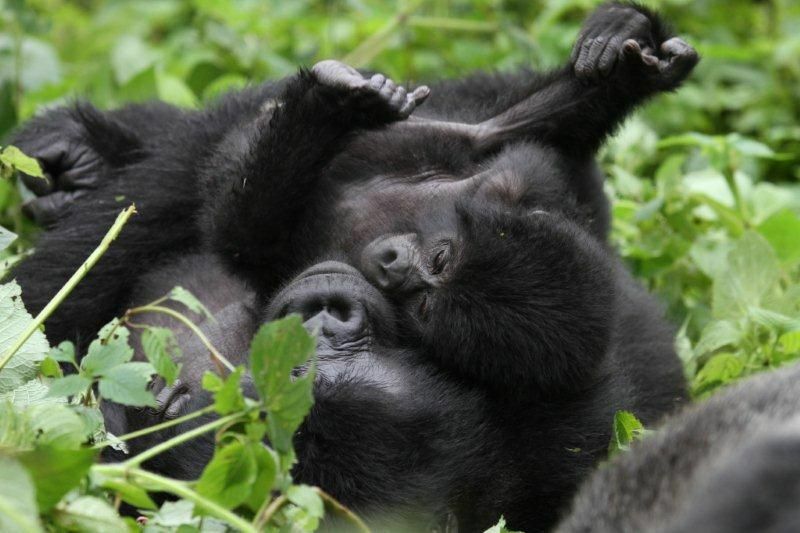 Bwesa and Busingye are new gorilla groups which have split from Nshongi and Kahungye bands. Uganda is not just about Gorillas – its National Parks offer a variety of other activities including habituated chimpanzee encounters, an abundance of spectacular wildlife, the unique tree-climbing lions, some of the best birding on the continent with a chance of spotting the elusive shoebill bird, superb fresh-water fishing, mountain climbing, white-river rafting, waterfalls, and a whole lot more. Based on my experience in the region, Bwindi Impenetrable National Park has proven to be the premier mountain gorilla destination and offers one of the ultimate African rainforest experiences. 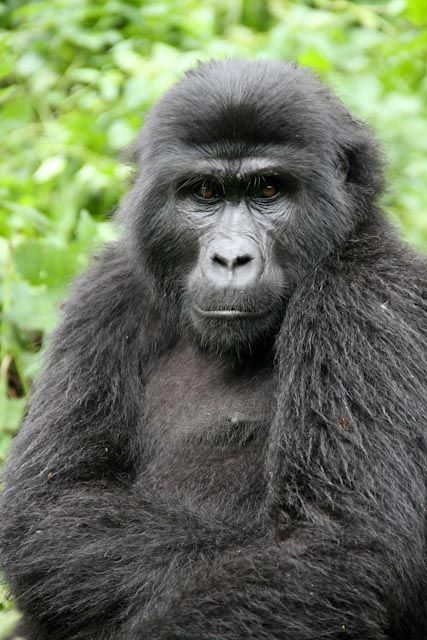 Mgahinga Gorilla National Park is the second, but less reliable place to see mountain gorillas in Uganda. 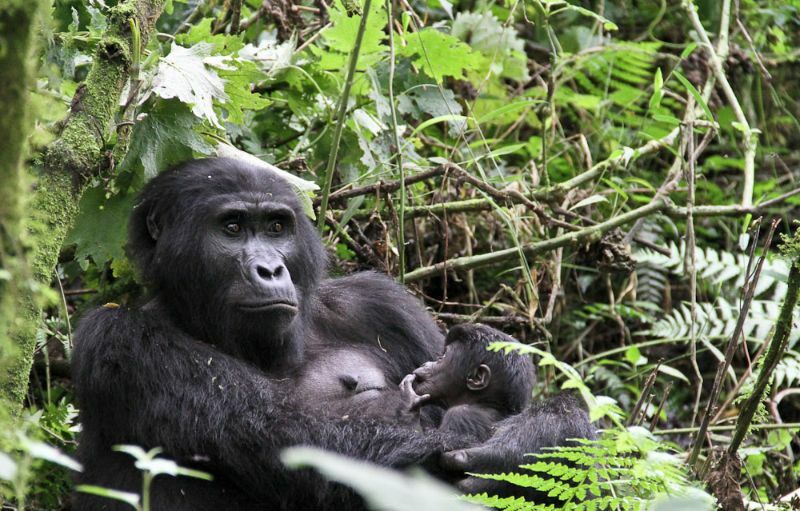 However, due to its geographical proximity to Rwanda’s Virunga National Park, the gorillas often cross borders and are not accessible to visitors in Uganda. Mgahinga also offers great birding, lovely hiking trails, and a variety of primates including the beautiful Golden Monkey. 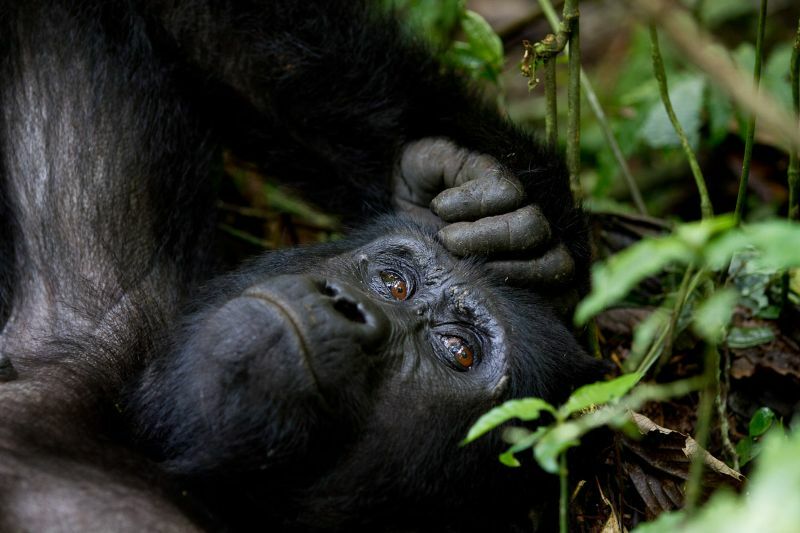 Man manages to destroy most things on this planet – but imagine a place where for one hour, you can experience life as it was before humankind – a pristine world in the presence of our second closest relative – the Great Ape. Entry visas can be purchased on arrival at Entebbe International Airport or Kigali International Airports (DRC visas must be pre-bought online). 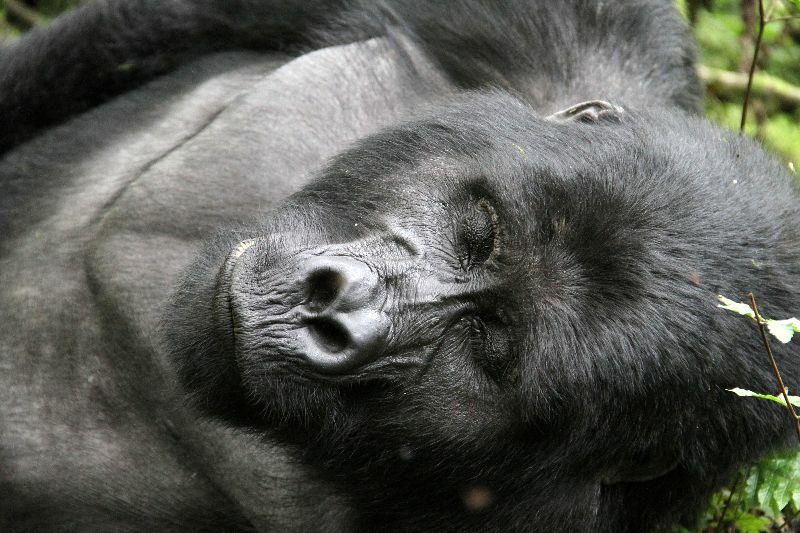 Adult gorilla females only produce every four years and gestation is 8½ months long. Male gorillas differ from female gorillas in that male gorillas have a crested head, wide mouth, longer arms, a broader chest and a big, fat belly. Females, on the other hand, have a flatter head, smaller mouth, shorter arms, narrow chest and breasts.